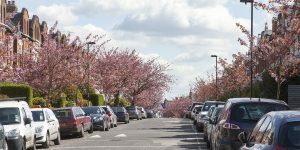 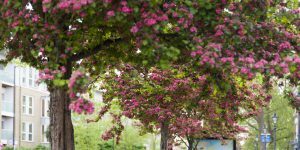 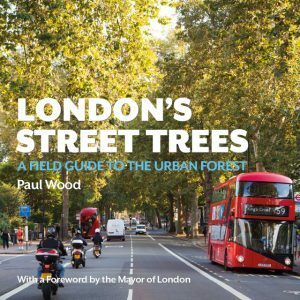 Join Paul Wood, author of London Street Trees as together we Explore the Urban Forest – come and join us. 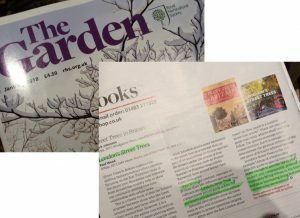 The Royal Horticultural Society’s ‘The Garden‘ gave London Street Trees a rave review: “a joy for gardeners and plantaholics everywhere” and ” a fashionably populist guide to to special trees that is brave enough to assume he reader’s interest and, consequently provide a thoroughly fitting tribute..” The Garden January 2018. 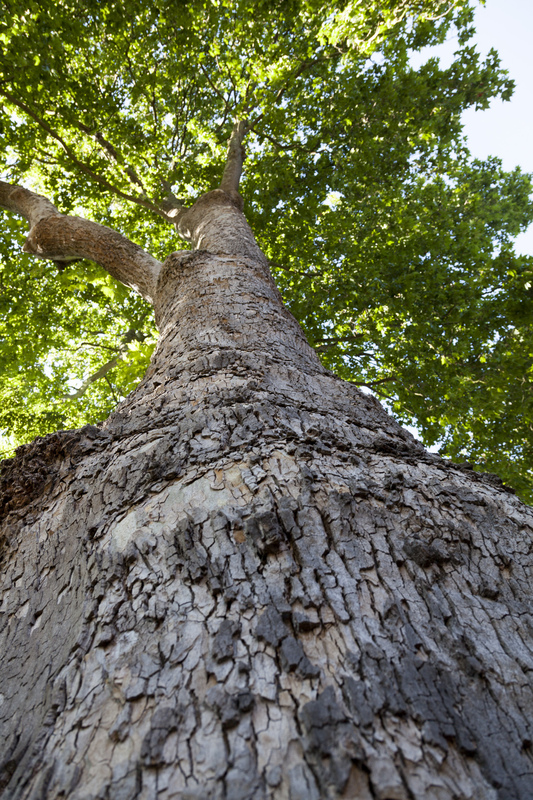 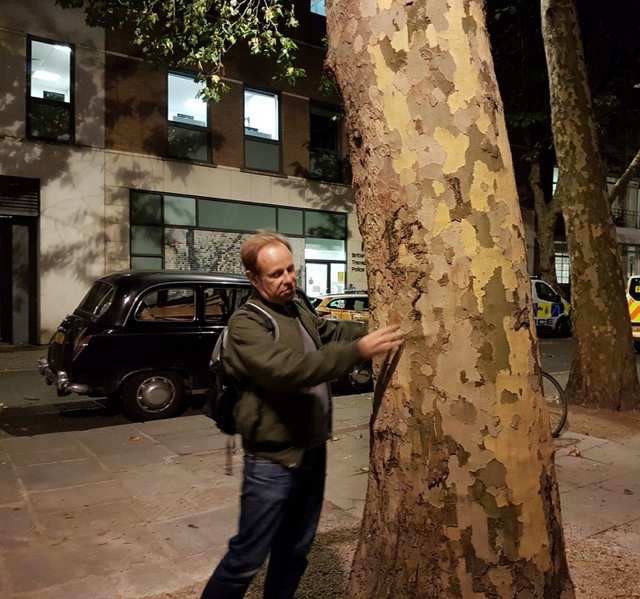 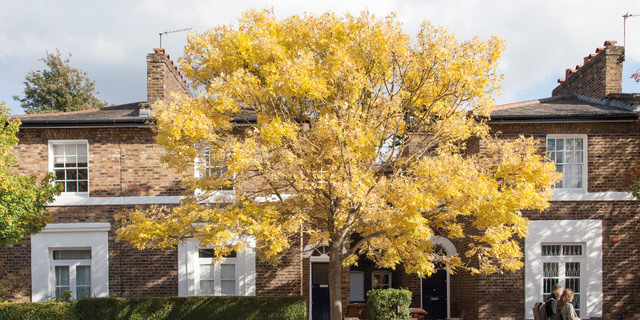 Paul is interested in looking at London through its street trees; how they relate to the built environment, their cultural and social history, and of course the remarkable variety of native and exotic species to be encountered as we Explore the Urban Forest. 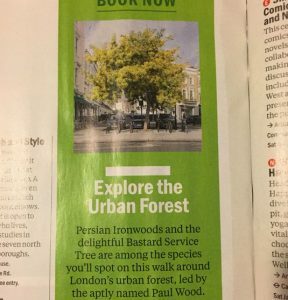 You can see his 9 favourite street trees in this Time Out article. Ian Jack interviewed Paul and reviewed his book in the Guardian in May 2017 – you read his piece here. 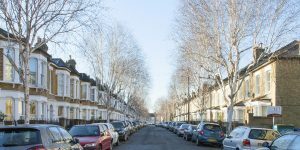 Tree-lined streets have been part of the landscape since ancient times, long appreciated for ornamentation and shade in cities, it was the military who pioneered avenue planting along cross-country roads where trees took on the practical roles of waymarking and shading armies on the move. 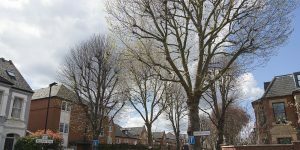 The first modern street trees were systematically planted as part of Hausmann’s regeneration of Paris starting in the mid-nineteenth century. 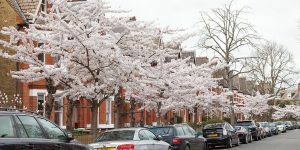 His pioneering boulevard planting – immortalised in paintings by Pissaro and other Impressionists – set a trend soon followed by other European cities including London. The first planned street trees in London were used to embellish Joseph Bazalgette’s Thames Embankment completed in 1870. 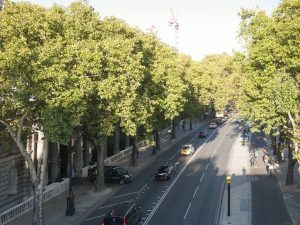 A trend was started, Northumberland Avenue and streets around Whitehall were next to be developed with tree pits constructed as part of the new roadways. 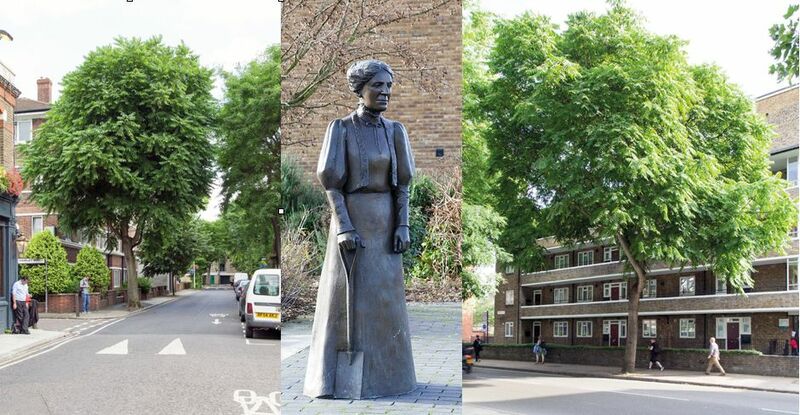 Other London streets followed suit and a civic planting craze continued throughout the rest of the nineteenth and early twentieth centuries. 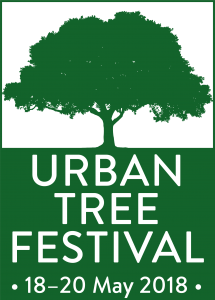 We are now reaping the benefits of this long term vision. Since the second-half of the twentieth century, street tree planting has become a function of local authorities. 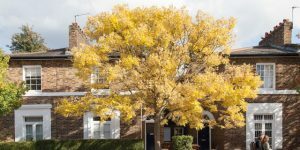 It has become increasingly professionalised, with tree officers working alongside planners and architects. 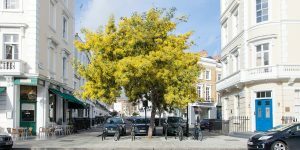 Species selection is more nuanced and an ever increasing ‘palette’ of trees are available for planting in virtually every urban situation. 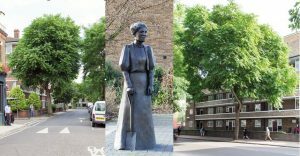 Quirky history putting in context | Different borough preferences | 5 stars | Different angle on London. Mix of nature & urban. 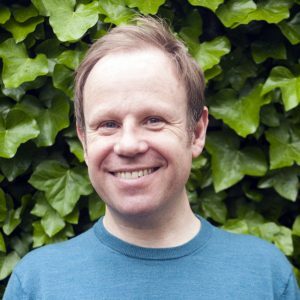 Expertise and well animated. 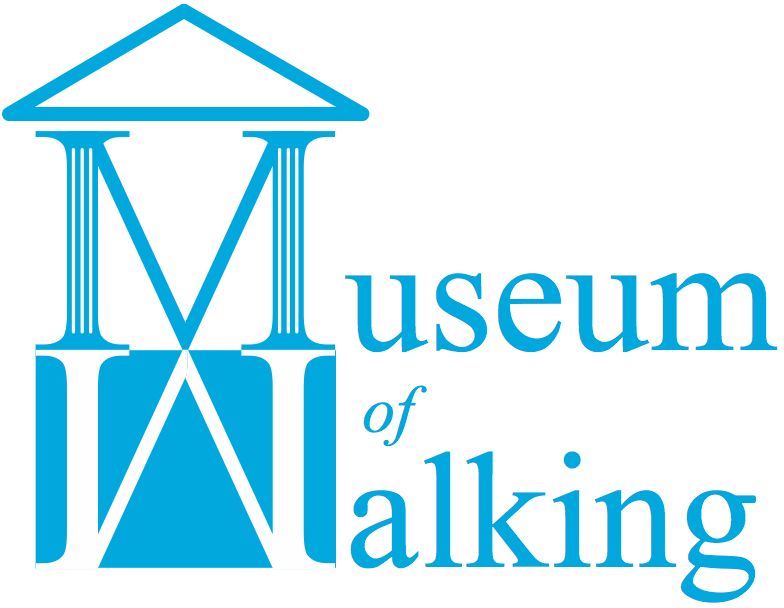 Buy a Loyalty Card and get walkshops tickets at the lowest prices. 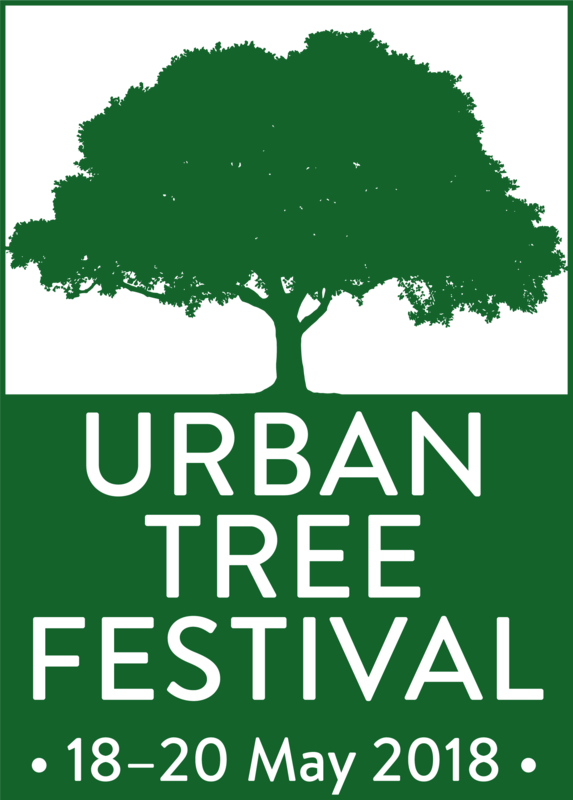 Entitles you 5x Explore the Urban Forest walkshop tickets – all you do is present the card at the start of a walkshop and we stamp it. 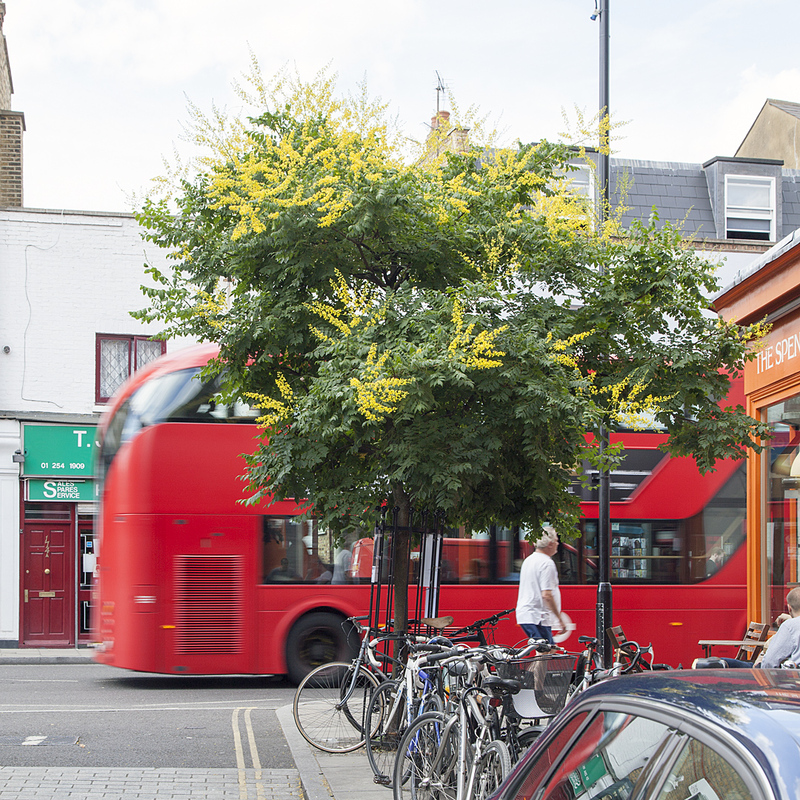 It can be used for more than one place on a walkshop, so you could bring friends. 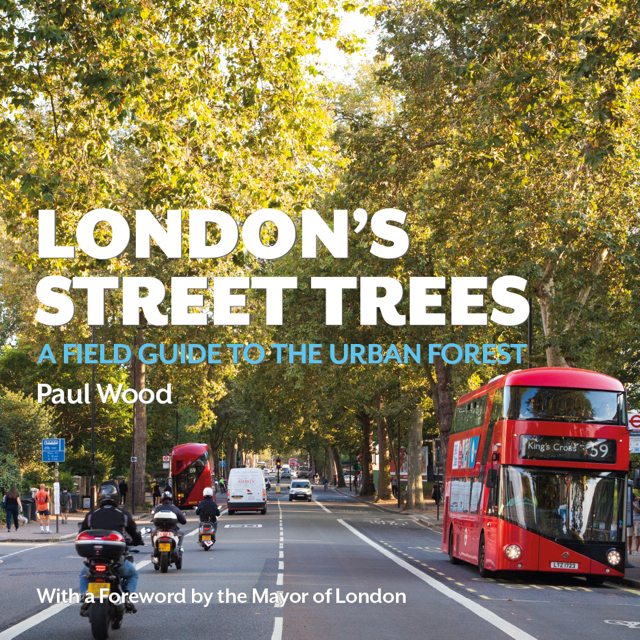 You also receive a discount on signed copies of “London Street Trees” by Paul Wood. 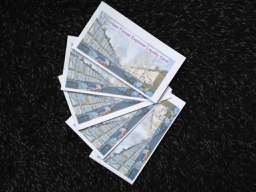 £75 + £1 p&p. Just click on the PayPal button below – you will be directed to PayPal. 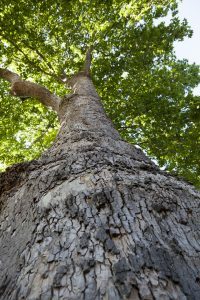 For Terms & conditions, please look here.